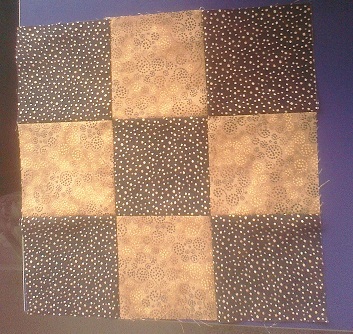 I am very happy that my first 4 squares for the Beginners' Quilt-Along are made, on time and looking not too shabby! I made square #4 last night. I decided on a dark and light pink...but misread the instructions (again...I think I need a vacation!) and so ran out of the light pink fabric. 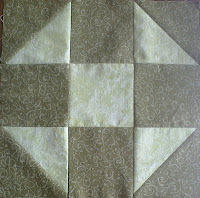 I really wanted that fabric so I pieced a 5 inch square to make my 2 half-square triangles. You can tell, but I'm not sure it's critical. 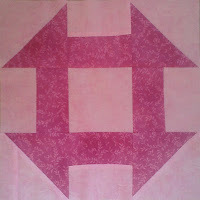 I'll see when it's all together - I can always whip up another pink square #4! I've just posted the pictures of my first two squares in the Flickr Beginner's Quilt Along group (http://www.flickr.com/groups/1942851@N24/). I decided to do some experimenting. 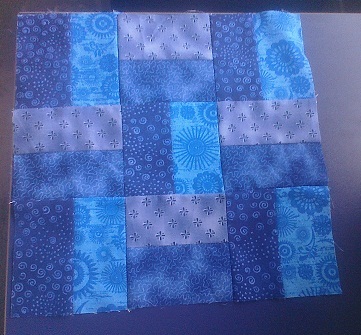 Since one of the quilts that I'm presently working on has monochromatic blocks (in blue, red, purple and yellow), I decided that in this new quilt, each block would be a different colour, but monochromatic within the block. 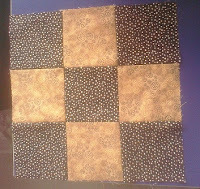 I bought a couple of brown fat quarters for the first square (I don't usually do browns). The second block is in blues (that I have tons of). I was hoping not to print out all of the instructions for the blocks, but I'm now re-thinking that since I managed to make the first block way too small! Oh well, I'm now on my way. Looking forward to seeing how my experiment will work. What a blast the quilt show was. We had over 200 quilts on display. The quality and variety was simply amazing! The ladies who organised the show were incredible. My daughter and I spent most of our Saturday and Sunday at the show volunteering. That's probably a good thing, since it kept me from spending too much money! It's a "snap" + "dragon"
I've been busy getting the quilt show special edition of the guild newsletter ready. It's off to the printer's today and I'll be posting it on our website this weekend. Here the link to the Newsletters page. It'll be marked June 2012. During the show, we had a great sitting area that was decorated as a patio and the displays were a series of rebus. They were quilted puzzles depicting things that grow in the garden. For photos of all of the rebus and their solutions, go to this link and click on "Solutions to Grow a Rebus Garden". Can you guess what my rebus represents? I've actually had time to start a new quilting project. 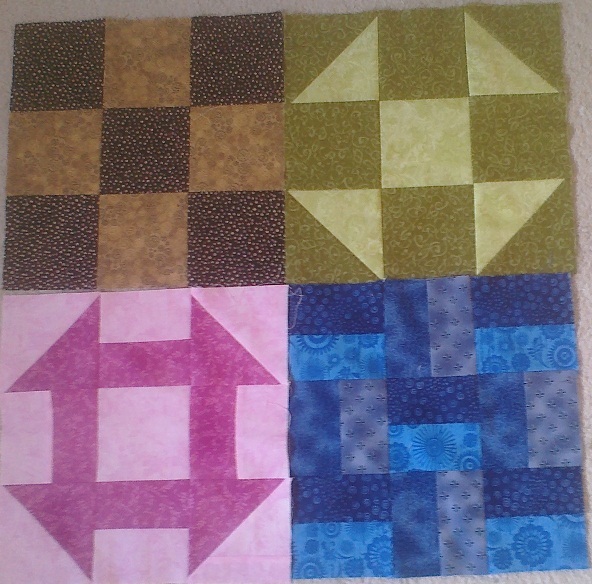 It's a very simple, very colourful baby quilt for Sonya's new baby boy. It isn't as fancy as the first baby's quilt but I don't think Alexandre will care. 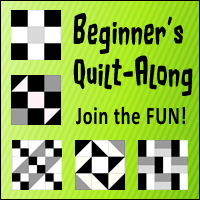 I'll be joining a Beginner's Quilt-Along through the Quilting Gallery. We'll be making a 12 inch block each week, starting June 8th and finishing in September. The quilt will have 12 or 13 blocks, sashing and borders. I haven't decided what I'm going to use as fabric, but it'll come from my stash. Right now, I'm thinking Christmas fabrics or batiks. The only problem with batiks is that I won't want to give it away!